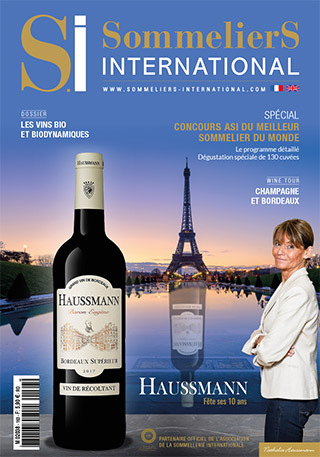 SommelierS International and the Japan Sommelier Association (JSA) headed by Shinya Tasaki, Best Sommelier of the World and president of Association de la Sommellerie Internationale, gathered some 200 French wines and spirits for a top-notch Vinexpo Academy. 80 JSA certified sommeliers have been invited to a collegial tasting. A new exercise for them as explains Hiroshi Ishida, Best Sommelier of Asia&Oceania 2015, because the Japanese are not used to share their impressions and write a common review. Beside the presidents of the event Shinya Tasaki and Hiroshi Ishida, the guests could meet two other Best Sommeliers of the World, Paolo Basso, the 2013 winner, and Jon Arvid Rosengren, crowned in 2016. Some lucky producers could join the tasting, an opportunity to stand out and present their work to the professional tasters. Watch the video of the event, and read the reviews in the 155 issue to come soon!